Gal Gadot can't stand Kristen Wiig's 'quirky' antics on Wonder Woman 2 sets? A new report is attempting to hint that a feud might be brewing on the sets of Wonder Woman 2 between Gal Gadot and Kristen Wiig. 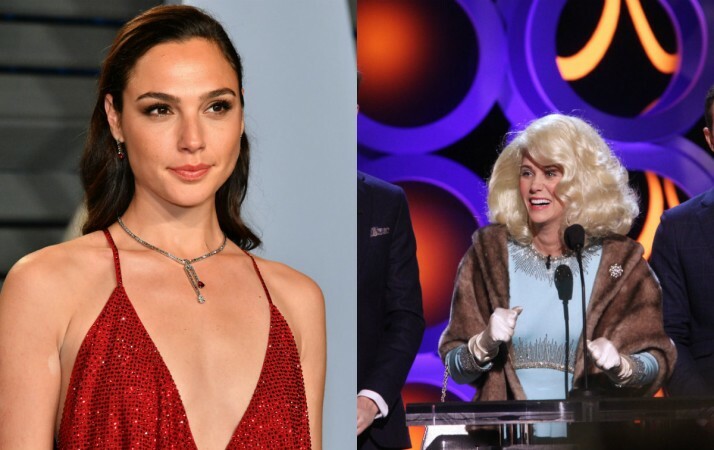 A false report is making the rounds claiming Israeli actress Gal Gadot is annoyed by her Wonder Woman 2 co-star Kristen Wiig. The latter joined Wonder Woman's team to play the villainous Cheetah in Wonder Woman 84 and things are apparently not going too well. Dubious sources claim that the Diana actress is unable to cope with Wiig's quirky attitude and it has left her irritated. A suspicious insider told Star magazine that Wiig is merely trying to impress Gadot with her humour and wit, however, Gadot is not finding it very amusing. "Most of the time, Chris [Pine] has to explain what Kristen is joking about. Gal feels obliged to giggle, but there's only so much forcing it she can manage. She won't be able to keep this up the entire time they're filming," the source claims. These claims attempt to portray that all might not be too well in the Wonder Woman 2 camp and a feud might be in the making. However, Gossip Cop reports that is not the case. Sources close to production told the site that the report is merely a rumour and there is no truth whatsoever in the said claims. Gadot hasn't addressed the rumours but it is unlike that Gadot would have problems with Wiig. The actress was excited about Wiig joining the cast. When director Patty Jenkins announced Wiig's addition to the WW team, Gadot tweeted rejoicing the new addition. She wrote, "I'm SO excited welcome on board Kristen! This is going to be WONDERful! [sic]."